Let me start this post by telling you all that I cannot crochet. 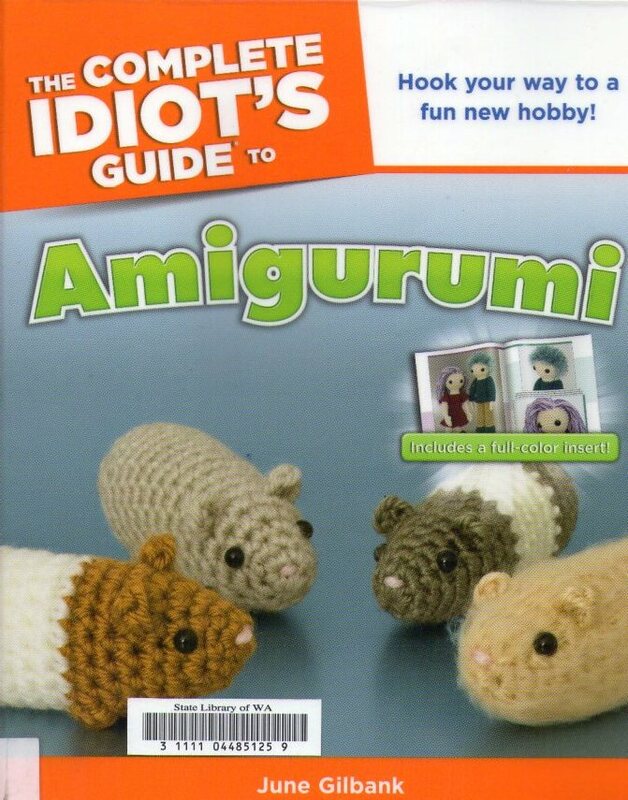 So while I have always thought Amigurumi was so cute I never considered making them because I cannot crochet. Around New Years I went on a frenzy with the local library's request system. I started out looking for inspiring books to help with my TC 12 month flower sampler project (my temari is wrapped and marked but stalled just now). 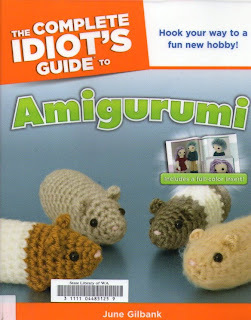 I started looking at flowers and then embroidery... a bit later I discovered a book about Kanzashi flowers and then Amigurumi. This is what happens when you type 'Japanese craft' into our library computer. I decided to request copies of all the books that struck my fancy. Over the last few weeks the books have been arriving for collection. I picked this one up on Friday. I have a few of the ".... For Dummies" books but the title of this one struck me as offensively appropriate for me as my Grandmother has tried son several occasions over the years to teach me how to crochet. Well as it turns out I couldn't quite get it from this book either (no fault of the Author) my brain needs to see what happens between the photos to work out what is going on so a surf through YouTube found me a video to help me with the details. It isn't quite the most beautiful thing you will ever see (even if you stand back and squint) but considering I started out as being at a lower level than 'Complete Idiot' I did rather well. I know the pattern is a hamster but Mr W wanted a mouse instead so I added a tail. He is quite taken with it and has requested another one. Sorry about the terrible photo, it is dusk now, the light inside is bad and Mr W is watching Avatar so he can't keep his hands still. You'll note that this posted is labelled (very optimistically) Amigurumi so I intend on making more of these crocheted creatures. I'm going to try making mushrooms next... after I finish my temari for Japan which we are now going to be sending to the JTA via TT. Very cute!! I've crocheted for a long time. We used to call these things teenies or bitsies. I've not made one since they came into vogue again though. Nice for your first, not an easy thing to do for your first project, be proud! !